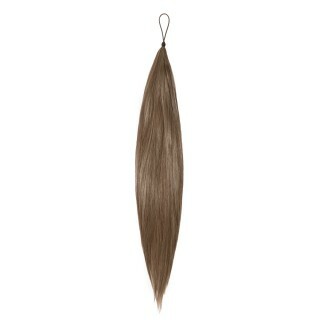 Loop-Duo hair-on-wire is great if you don't want to use clips. 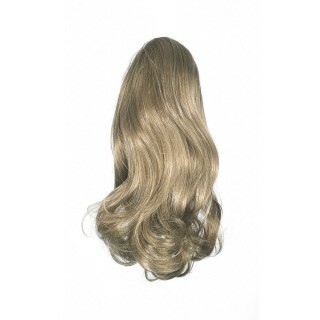 This hair piece sits on the head like a halo with gravity working to secure it in place. 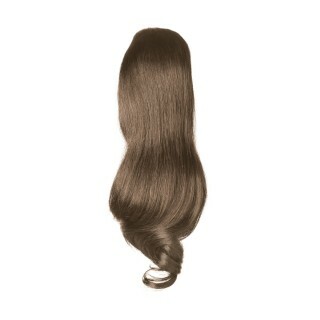 Accessory hair pieces include buns & top knots; ponytails & fringes. 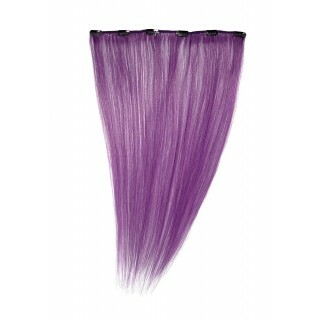 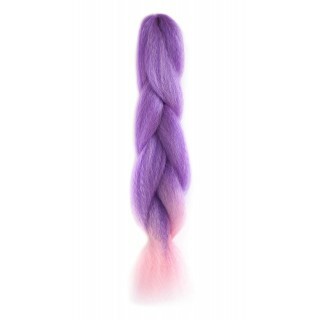 Plus we have fun coloured hair for parties & fancy dress wigs. 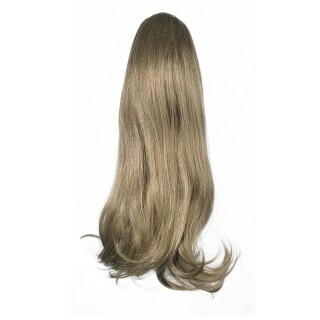 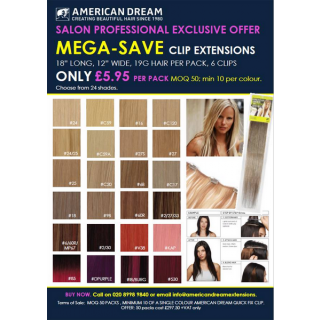 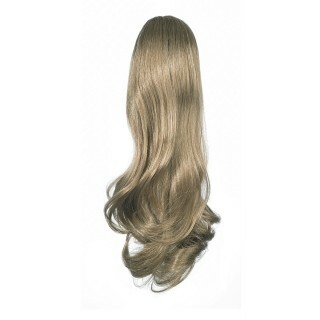 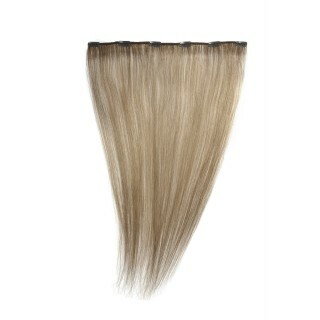 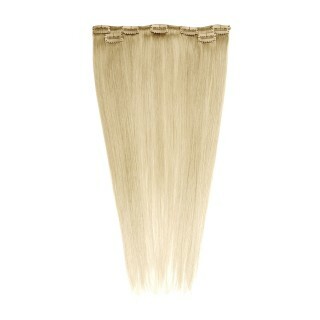 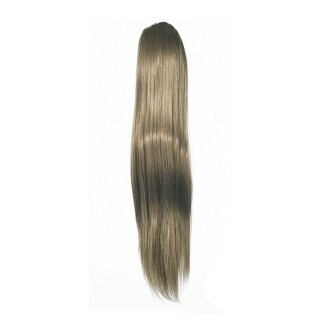 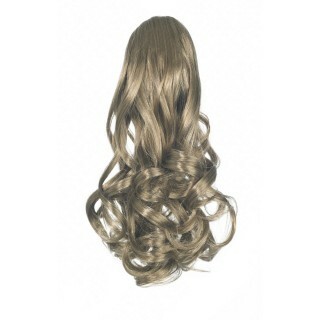 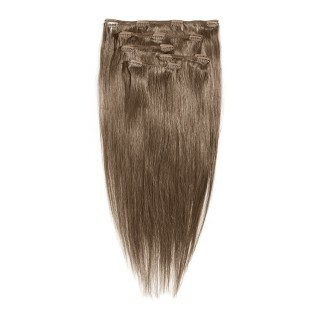 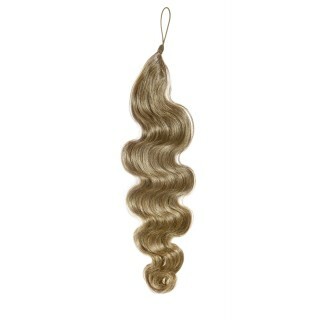 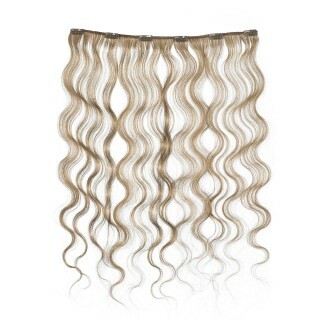 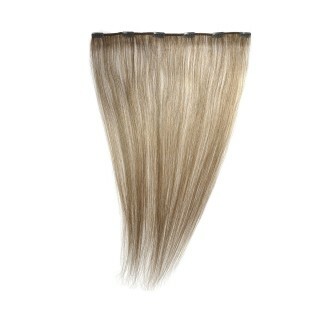 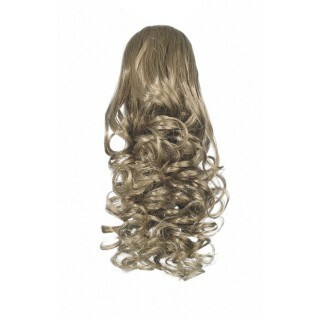 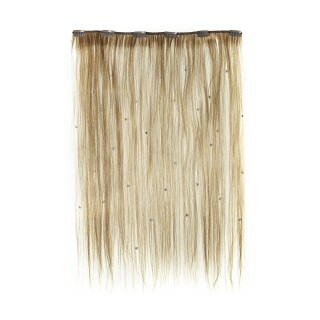 Clip-In Single Piece 18" LONG, 19g: SOFT WAVE - best prices!